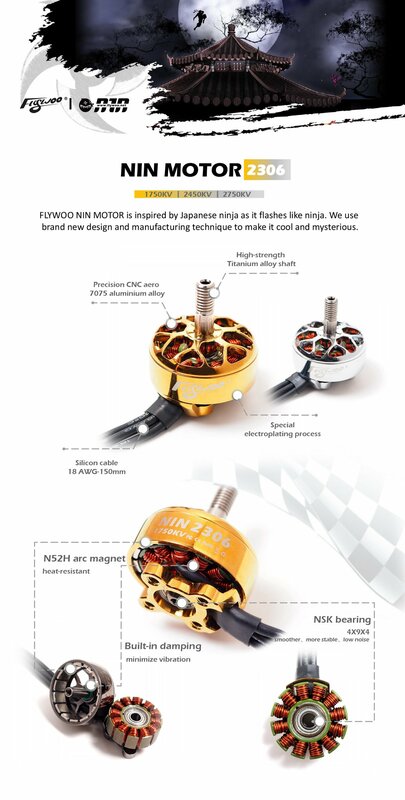 I got the Gold NIN Motor 2306/2450kv from Flywoo (23.99$ each), so let's see what we have in the box ! So what do we have in the box ? I'm really impressed about the quality and the details on this motor. First of all, the design (and the colors) are clearly a good sign that we don't have a cheap motor. 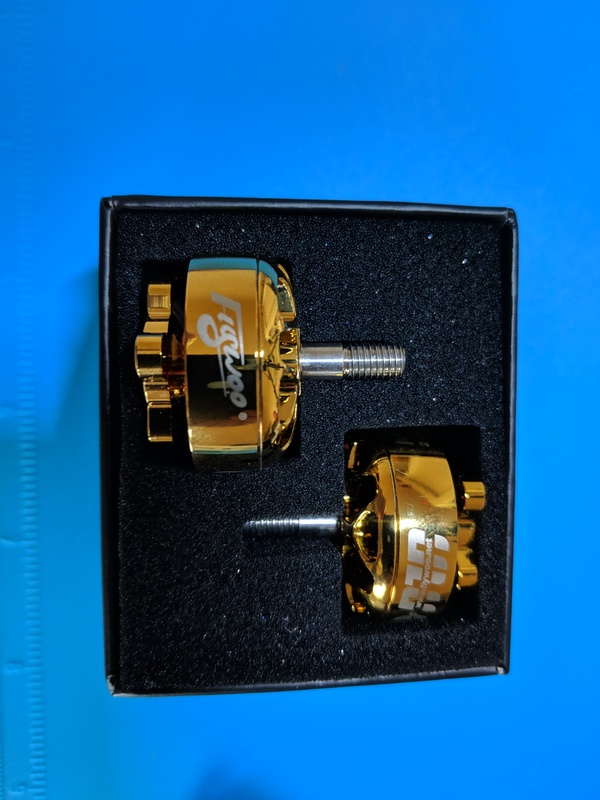 The design of the bell is really nice and they use 7075 aluminium alloy, so it is really strong and good fatigue strenght, and anticollision. The shaft is in titanium so it should be really strong and difficult to break in a crash. 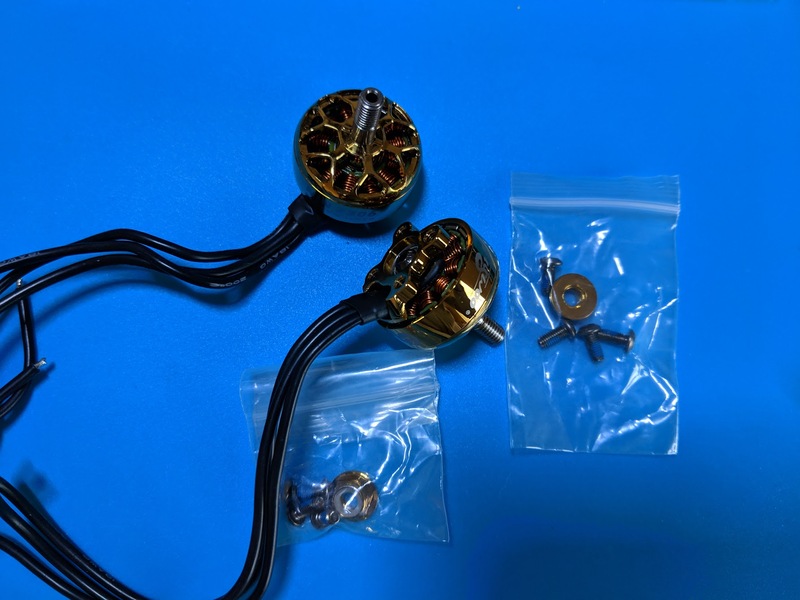 The motor winding seems well done, and they use N52H magnet arc magnet (heat resistance). Moreover it seems that they have an anti-dumping feature in the motor to reduce the vibration. The bearing that they use are NSK Bearing from Japan, so high quality for smoother and stable flight, without too much noise normally. Silicon cable that they use are 18awg for 150mm so it is really good and enought cable for 6/7 inch, and the heatshrink used are correctly applied on the cable to avoid any electrical short circuit. So now I need to test them so let's see that in the next article !